Lerner brings a world of business ideas and experience to campus. Each semester, the Lerner College’s lectures, seminars and conferences – most of which are open to the public – give students the opportunity to learn from the brightest minds in business and business education. 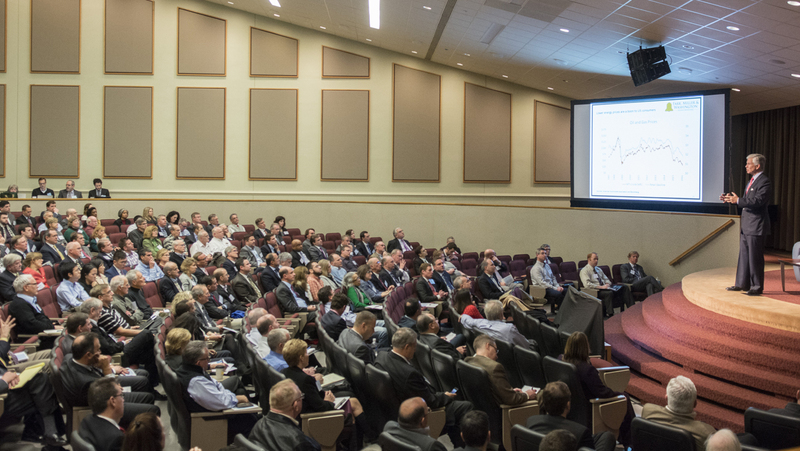 The Chaplin Tyler Executive Leadership Lecture Series brings leaders from the business, non-profit and government sectors to the University of Delaware campus to share their experiences and insights with students, faculty and the business community. Several times each year, the Lerner College’s Graduate and Executive Programs office invites these leaders to spend a day engaging in an open exchange of ideas and perspectives. Each year a distinguished scholar and policy-maker is invited to present the Hutchinson Lecture in the spring semester. Recent speakers include Alice Rivlin, William Poole, and Donald Kohn. The W.L. Gore Lecture Series in Management Science, which is sponsored by an endowment from the Gore family, features experts in the application of probability, statistics, and experimental design to decision making, including applications in academia, business, government, engineering, and medicine. The Institute for Financial Services Analytics (IFSA) is the result of a collaboration between the University of Delaware and JPMorgan Chase. The new Ph.D. program in Financial Services Analytics (FSAN) is part of IFSA. The Ph.D. in FSAN is a cross-disciplinary program offered by the Alfred Lerner College of Business and Economics and the College of Engineering. See the IFSA Events Calendar page for more information. The Paul E. Wise Executive in Residence speakers series, named in honor of HBM founder Paul Wise, was established by the department in 2006-07 to bring prominent industry professionals and executives to campus and to inspire HRIM students early in their careers.